While it might seem odd to advise visitors to add a grocery store to their To Do list, Central Market is truly a destination and a perfect stop for families. 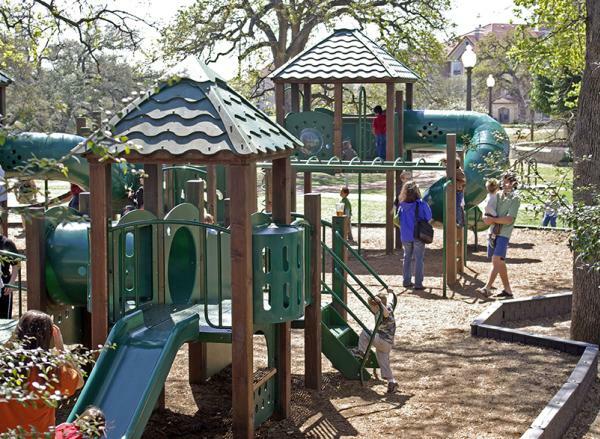 In addition to the actual grocery store, Central Market North Lamar offers a full cafe with a great shaded deck, regular live music and an extensive playground that is connected to a park. My family has been to many birthday parties outside near the playground, and sometimes just stops by for some play time to run around outdoors. Our perfect afternoon often includes snacks from the cafe, a glass of wine for mom and relaxing near the playground while the children play and explore. I recommend staying for the live music! In addition to music entertainment, the store offers other events, including cooking school classes, family activities and food tastings. See you there!